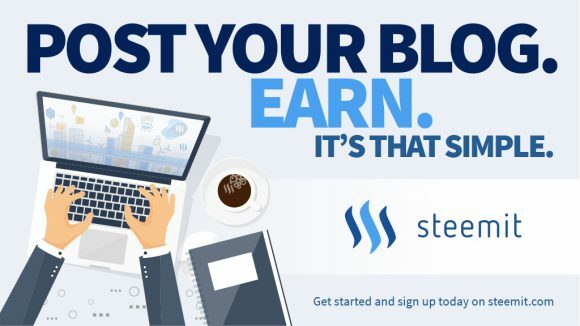 Steemit is a blockchain-based social media platform where anyone can earn rewards by contributing quality content and rating content published by others, or at least it is being advertised as such. We’ve been keeping an eye on Steem and the official Steemit user interface of the project for a while, but just about a month ago we actually started getting to know how everything works there. This has happened as one of our editors actually registered and started using the platform, as a result we have published A Quick Guide on How to Mine Steem on Windows. That however was just about it as we have decided to leave our editor for a month to use Steemit and then to write a first-hand experience review of the platform based on his own personal experience using it. Since that month has already passed, it is time for him to share his thoughts and experience with you… and get back to writing more here and not only on Steemit! Do note that that our editor is using a personal account on the Steemit platform! This account is not an official Crypto Mining Blog account, nor it will become such, though if you are already using the platform or want to try it out now, you might want to check @cryptos on steemit.com for some guides, tips or even some help… just make sure you do that on Steemit and not here. We do like to support our authors and editors and this is exactly what we want to do now. You can think of Steemit as an ecosystem of multiple things all in one, though the main idea is to provide an alternative to popular social media platforms like Reddit or Facebook for example. The general idea is that people using the platform and thus contributing good quality content or helping by rating quality content from other users will get rewarded for that. Furthermore these rewards are also partly tied long term to the project, essentially becoming somewhat of a long term investment for the user (think along the lines of having shares in a company). This idea alone opens up huge potential for growth for the platform, but the big questions is if it will manage to actually take advantage and secure its place among the other big names. Currently Steemit is really small and is just making its first steps with a user base of just a bit over 75 thousand (total, not active users), the daily active users are currently at about 5K and that is precisely why it has such a big room for growth ahead of it. The first thing you need to start with is to register yourself an account on the Steemit website. Registering currently requires you to either have an account on Facebook or Reddit (with positive comment karma) as a means of verification for your registration (you can’t be completely anonymous, or can you). There is no other way to register like by just using regular email address or use your phone with SMS verification or whatever other option. Not everyone has or uses either one of these platforms, though many do, and there is also the idea that you might not want to reveal a lot of personal data just to try out the service. Moving past the initial step of completing your registration process, in some way or another, make sure you keep your password safe and have a backup as it is something that cannot be recovered if lost. Then the real fun starts and a new learning process for many of you, even though you might have used other social media websites before. You start with a nice simple and clean interface, though you are not sure where to find things around and how everything works. There is a big and detailed whitepaper describing how most of the things work in detail, but that is for the backend, and not for the frontend access that Steemit provides to the blockchain. So you start exploring and trying out things such as making your first post, looking around at the already published content, giving some votes and maybe leaving comments for content that has provoked you to do so. Inevitably you are making some mistakes as you don’t yet know the rules, or how things work, normal users not into crypto don’t read large whitepapers full of things they don’t understand and the PDF does not tell you everything either. Remember, this is a social media platform that although powered by a blockchain and using crypto currency tokens is still intended for mass users and not only for the much more limited number of crypto users (thy are just a good starting point to build upon). This is the point at which a lot of people simply expect to start seeing big rewards pouring their way thanks to the hundreds of people that like what they just posted. Unfortunately this is not what is going to happen, unless of course you are some celebrity or at least a well-known person in some field and you come crashing down on Steemit, bringing a lot of your followers along (this has happened quite a few times already). People like that make a big splash when they come on Steemit and start off with a big reward from their first post, gaining a lot of new followers and bringing quite a few along with them. So this is one way that you can ensure you a have good start, or maybe if you are a normal user and manage to write an interesting and attention grabbing first introductory post, you may as well get off very well, though probably not as good as some celebrity will. If you are just a regular user that has nothing special about yourself, then the bad news is that you will have to work hard for a while, a couple of weeks maybe, and not get discouraged or give up before you may start seeing some good returns of your efforts. When people tell you hard work is the key to success on Steemit for a regular user that is just starting up, they often mean that you should be able to get results in some time (more than just a few days), but only if you don’t get discouraged and give up before that. There is currently a bit of a problem on the Steemit platform and many of the other users of the platform have noticed it as well. The fact that even if you write or post something good it does not mean it will get a big reward, most likely it will not initially, but as you keep up posting good work it should start getting noticed and you will start building followers that like what you write about. People hope that somebody with a lot of voting power will just notice them immediately and they will get a couple of hundred or even thousand Steem Dollars as a reward for their first post. That does happen from time to time, but it takes a lot of good luck for the regular new user. People just get their high expectations by looking at the most popular posts made by successful celebrities or people with an established reputation on Steemit, people that have already worked hard to achieve their status. Getting started is hard and you might not get any rewards with your first posts, then maybe score some success with a few cents before actually getting something better, like in the single or even a double digit range… it could take even a week or a few for that to happen. There is of course always the chance of getting lucky and scoring a vote form a big Whale (you will quickly get used with the marine life references on Steemit), but that won’t help you much on the long term. A lot of efforts and persistence is the key, and of course posting about things that you write or create will be much more useful and rewarding than posting some content that is not yours such as linking to news articles and such. Copy/pasting without mentioning the original source or using others work and pretending it is your will get you nowhere as these things quickly get noticed and are not tolerated at all on Steemit! How much can you expect to earn in return for your contributions on the Steemit platform? Well, that depends on many factors. For example when you start you have only 3 Steem Power, that means you get just a fraction of a cent in terms of voting power and your vote does not account for much. So it is very hard to earn rewards with just voting for other good posts on the platform, as a result you are encouraged to invest into some STEEM tokens to increase your influence and possibly the rewards that you get for your curation efforts. The alternative (what you should actually try to do) is to write some good and successful posts that will bring you some extra Steem Power and Steem Dollars as rewards, but for regular users this is quite hard to be achieved right from the start. You will need to spend some time learning and figuring things such as the Markdown formatting or basic HTML tags if you are not familiar with that as well as maybe polishing your writing skills a bit. Don’t worry if English is not your native language, there are a lot of people like you on Steemit already (good opportunity to improve your English), there are also local communities starting to form that write in different languages as well – Chinese, Korean, German, Russian and so on. What can you expect to get in return for let’s say 1 month of hard work? Here are some numbers you can look at to answer this question: Exactly 1 Month on Steemit, Let Me See What I Have Achieved So Far. This is the achievement list of our editor, who has been using the Steemit platform for a month already and it can be a good reference on what to expect. Again this is his personal account and not an official one for this website, and he has not received any official support from this website prior to today. So the numbers represent only his own hard efforts for a month, starting as a regular new user with no followers to bring along, and not revealing that he is associated with this website at all. It may not be that much as some of you might expect in terms of rewards, especially for writing 120 blog posts on Steemit and contributing hundreds of comments, but these numbers should give you realistic expectations on what you can get as a regular user not giving up and working hard. If you decide to try Steemit as a social media platform with the intention to earn back some rewards in return, then what you need is to manage well your expectations and work hard in achieving your goals. Don’t expect to earn a lot of rewards in no time at all, in fact don’t go expecting to earn anything back when you start using Steemit and you will be pleasantly surprised when you start getting rewards for what you do. That would however take some time and efforts, unless you are somebody popular as already explained above. If you are a celebrity or a popular person, then Steemit is simply a must go to place. If you are just a regular user it is still worth checking out, but make sure you have reasonable expectations before you even start, The project has a lot of potential, but there is also a lot of uncertainty about the whole thing as a lot of additional work is still required to making it a successful and mass social media website, this will simply not happen overnight. Steemit is still very young and with very little users (note that it is currently in beta), so if you register now, you will be among the first users, though not among the earliest adopters that already had a head start. Regardless of that, it could still give you a good opportunity in the future if you start now and the whole project becomes hugely successful and mainstream, but then again that is not guaranteed at all. Enough blabbering about the good and the bad things of STEEM and the Steemit platform, it is not perfect and it does not give thousands of dollars as rewards on day 1 to just anybody who registers and starts using it. There is a fair dose of unfairness and advantages already for those that were among the first to join and be the pioneers, but then again they did put a lot of efforts into getting where they are today. Do we recommend you to try Steemit? Yes, we do encourage everyone to give it a try, there is nothing to lose, only possibilities ahead of you and maybe even some rewards waiting for you there. Do manage your expectations properly however and don’t go for the rewards and only for the rewards, do it to just give it a try and explore how things work and maybe you will like it, or maybe not. Give it a try and see for yourself what the hype is all about, you might be one of the lucky people, or one of the hard working ones, or you might quickly get discouraged and leave… that is up to you to decide. Again, there is nothing to lose in registering and trying Steemit, but there are no guarantees for success and big rewards… this is all up to you.